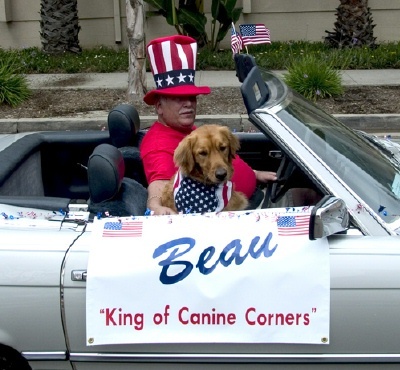 "Beau" Rifkin in the La Mesa Flag Day parade! 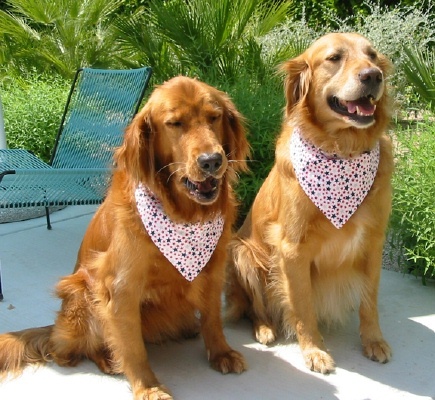 "Molly" & "Maverick" celebrated Memorial Day in style. 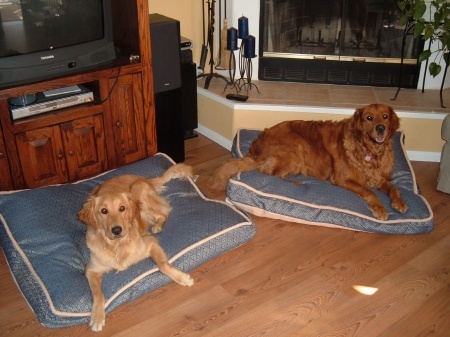 They are RFSC adoptees who make their home with the Scott family! "Chloe" was formerly known as Mary Kate. She had a rough start in life, but now has it easy as a pampered house pet in the Leibowitz household! 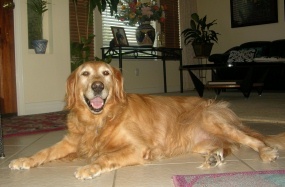 Dittow's previous name was Lady, but she certainly didn't have the care a Lady deserved in her last home! When she went for her spay surgery prior to adoption, the vet discovered she had been pregnant with thirteen pups. 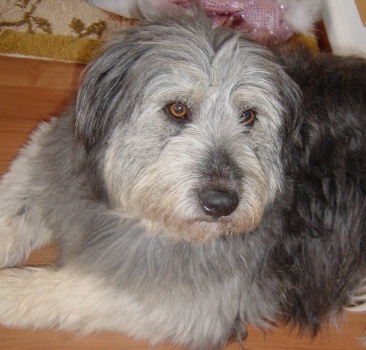 She is now a much-loved member of the Thomas household, who recently added a second RFSC dog to their family. 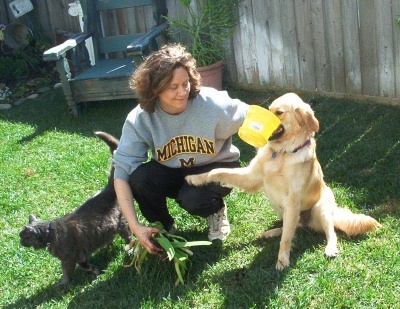 Frankie, right, was adopted by the Heller family, who discovered he needed a pal and came back to adopt Honey, above left. The dogs enjoy playing together and like to go for walks! 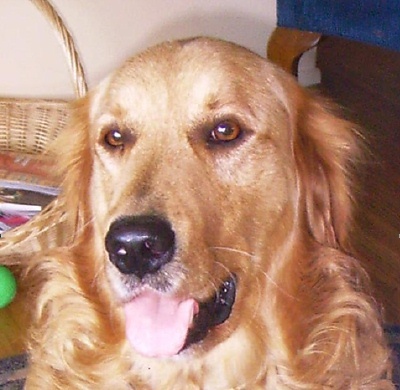 Keegan was an outdoor dog in his first home, where he was busy destroying the yard out of boredom. No more of that for this boy, who was adopted by the O'Brien family and is now inside and part of a family. 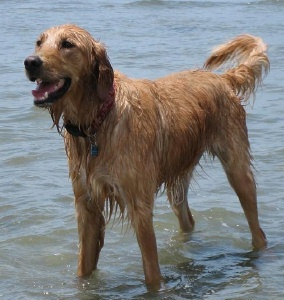 Kona (formerly Koda) was adopted by the Berwick family, who enjoys taking him to the beach. What a happy boy he is! 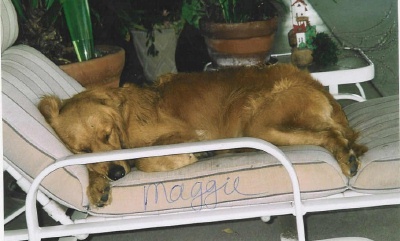 Maggie was adopted by the Frankel family. 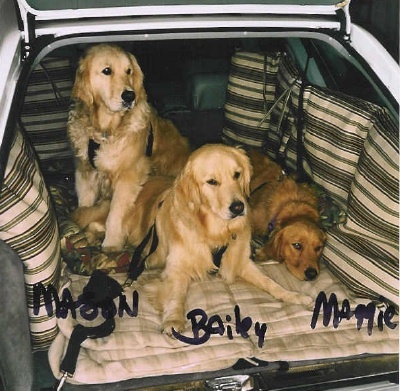 She enjoys going for outings with her new brothers, Mason & Bailey. 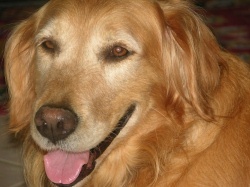 "Nalu" (aka "Noelle" prior to adoption) joined the Oya family. She used to dig out of her yard in her previous home, but not any more - she's now a pampered house pet and a much loved member of the family! 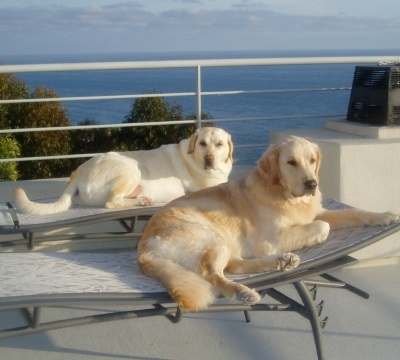 Sam is "roughing it" in his new home with the Lewis family, overlooking the ocean. 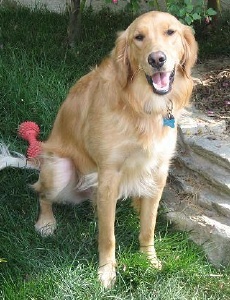 He has a new Labrador Retriever brother with whom he spends his days, and goes for long walks and hikes in the morning. Taylor is not spoiled at all! 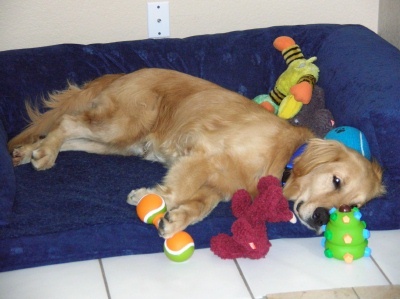 The Everett family has made sure he has plenty of toys as well as a comfy bed of his own.